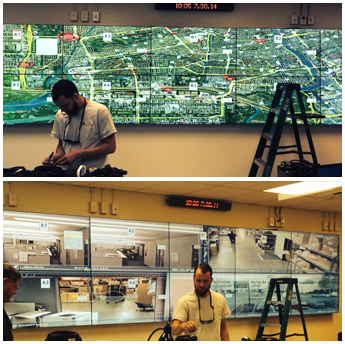 With more than 50 combined years of experience, Signal House Communications excels at planning and installing custom solutions for the commercial AV sector. Medical facilities, universities, and government agencies have utilized our team to design packages that specifically meet their needs with 100% satisfaction. Security is certainly on the top of everyone's mind these days. We help ease those anxieties with CCTV systems designed around your business requirements. Having dependable telephone systems makes clear communication effortless at any time. Our team is manufacturer certified to sell and install Panasonic™ products. Work with our audio-visual specialists to integrate technology into your business. Headquartered in Tallahassee, Florida, our customer-service-orientated AV company has provided advanced audio-visual integration for commercial, government, education, and health care markets since 2003. Signal House Communications' comprehensive capabilities allow for an affordable, customized approach to each business need, and we take responsibility for all elements of a solution. Clients continue choosing us because of our attention to detail and full support throughout the entire process. It's always exciting to walk into a facility and see the completed plan come to life, as well as the look of satisfaction on clients' faces. We experience that excitement after finishing every major project.